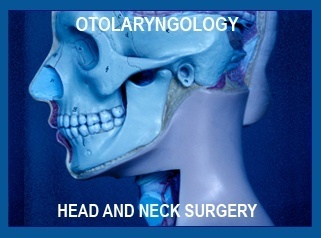 Otolaryngologists-head and neck surgeons have expressed increasing interest in establishing accreditation standards for the use of ultrasound as a patient point-of-care procedure that is administered by licensed medical practitioners. The interest is driven by many concerns, including maintaining quality patient services and being able to obtain provider reimbursement for delivered examinations from health insurance companies. In response to these concerns, the American Academy of Otolaryngology-Head and Neck Surgery (AAO-HNS) decided to form the Ultrasound Review Board, in collaboration with the American Institute of Ultrasound in Medicine (AIUM). The purpose was to explore the relevant head and neck ultrasound issues and challenges and develop appropriate physician training and practice standards. The collaboration was successful and resulted in the issuance of physician training guidelines addressing the evaluation and interpretation of ultrasound examinations involving the head and neck. Also produced was the “AIUM Practice Guideline for the Performance of Ultrasound Examinations of the Head and Neck”. These guidelines are critical information tools for Otolaryngologists-head and neck surgeons because they establish benchmarks for measuring the quality of patient care when using ultrasound. They also create quality assurance standards for applying consistent practice accreditation when required for provider reimbursement. The accreditation standards include demonstration of knowledge of anatomy and pathophysiology of relevant organs and the ability to perform ultrasound examinations and interpret imaging results. In addition, physicians must demonstrate an understanding of ultrasound technology, instrumentation, equipment calibration, safety, and ultrasound power output. The guidelines are purposely extensive to ensure surgeons have the most current information at hand for performing ultrasound procedures. The growing interest of otolaryngologists- head and neck surgeons in using of point-of-care ultrasound examinations to produce real-time images reflects the advantages of using non-invasive modalities first when assessing thyroid masses, cervical lymphadenopathy, and other types of diseases and disorders. The American College of Surgeons has been offering a course in the use of imaging for the study of head and neck lesions as a precursor to establishing accreditation standards. Instituting the AIUM practice accreditation in head and neck ultrasound is the result of years of physician specialized skills training and development. The new accreditation is available beginning July 2014 and is welcomed by the medical community.